Then, as the age of mobile dawned, we found software engineers identifying as mobile-first developers in the knowledge that all apps are inevitably accessed by mobile devices for some of all of their existence. A similar epiphany has happened with cloud computing — and now many developers would consider themselves to be cloud-first cloud-native programmers working in the always-on virtualized world of cloud. Next, we need to welcome the drone developer. These are software programmers who dedicate themselves to building drone ‘steering’ control apps, obviously. But these are also programmers who build drone applications that sit on the drone devices themselves to analyze the worlds that they fly into. Much of this software will need to communicate with the mothership (the cloud data center) before it can process data and make any decisions — but a new breed of software is being developed that is capable of making decisions without a connection. “Internet of Things (IoT) devices that can make real-time context-aware decisions [represent what we call] the intelligent edge — and this will define the next wave of innovation, not just for business, but also how we address some of the world’s most pressing issues,” said Sam George, director, Azure Internet of Things at Microsoft. We know that drones or Unmanned Aircraft Systems (UAS) are being used to do some amazing things. In December 2016 Connect Robotics delivered food for an old man in the mountains of Portugal using the drone pictured (above) in this story. We have also seen great applications for drones in what is known as ‘precision agriculture’, where crops are inspected in far more detail using photogrammetry to calculate and make decisions. “With the power of AI at the edge, drones can have a profound impact in transforming businesses and improving society, as well as in assisting humans in navigating high-risk areas safely and efficiently. With these advanced capabilities also comes great responsibility including respecting the laws that govern responsible drone use in our airspace, as well as the applications of the drones to scan the environment,” said Microsoft’s George. Microsoft’s assertion (and promise) to play properly in the drone space is reflected in the firm’s decision this month to announced that AirMap has selected the Microsoft Azure cloud as the company’s exclusive cloud-computing platform for its drone traffic management platform and developer ecosystem. AirMap works with civil aviation authorities, air navigation service providers and local authorities to implement an airspace management system that supports and enforces secure and responsible access to low-altitude airspace for drones. Data generated by drones is ‘infused with intelligence’ to augment the value that companies and governments deliver to customers and communities. However, concerns about regulatory compliance, privacy and data protection are, to date, apparently preventing many organizations from adopting drone technology at any kind of scale. We said at the start that drone developers (or ‘drone programmers’ if you wish) are now a thing… are now a job title. In that regard then, Microsoft has followed up on its AirMap news by extending its working partnership with DJI. A specialist in civilian drones and aerial imaging technology, DJI has worked with Redmond to now announce the public preview of the Windows Software Development Kit (SDK). “[This technology] allows applications to be written for Windows 10 PCs that control DJI drones. The SDK will also allow the Windows developer community to integrate and control third-party payloads like multispectral sensors, robotic components like custom actuators, and more, exponentially increasing the ways drones can be used in the enterprise,” said Microsoft’s George. Where this takes us is back to this concept of the intelligent edge again. Drone images can be sent back to a datacenter running Microsoft Azure Artificial Intelligence (AI) services to help make decisions. As a second options, drone imagery can be processed on Windows running Azure IoT Edge with an AI workload. Thirdly then, drone imagery can be processed directly onboard drones running Azure IoT Edge with an AI workload. Microsoft’s Sam George insists that his team takes the security of data seriously, from the cloud to edge devices such as drones. As such, Azure IoT Edge includes an important subsystem, called the security manager, which acts as a core for protecting the IoT Edge device and all its components by abstracting the secure silicon hardware. 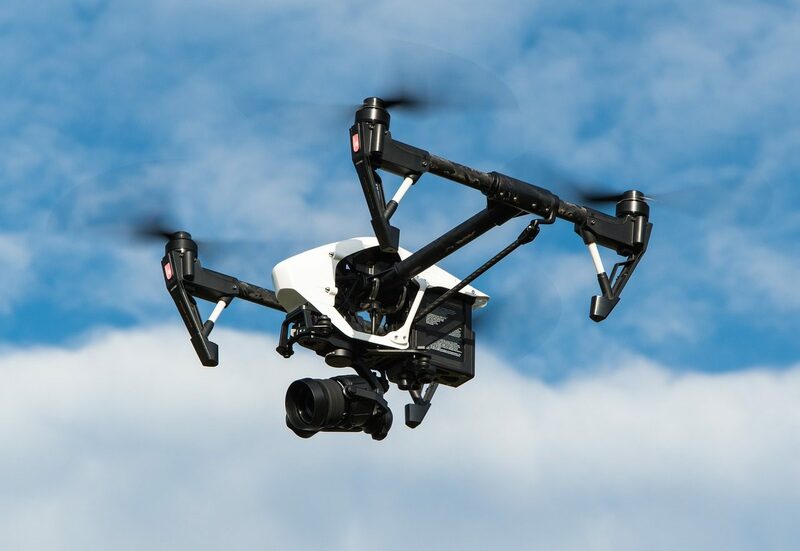 If we are to now widen our use of drones for aerial surveillance work and delivery dispatches in so many industries, we will have to get used to a few new terms. Photogrammetry in precision agriculture leads us to be able to develop ‘agronomic’ data. Over and above agriculture, we will also see drones applied to earth science, defense and intelligence applications. Knowing what data is processed where (on drone, or off drone) and allowing our software programmers to be able to control that factor is key to this story. Microsoft is attempting to make its cloud offerings ‘solid’ enough for drone app development of all types. There is no fully formalized global air traffic control systems for drones as yet and there may never be, but these kinds of device-control and data-control developments lead the way to greater management — which is generally agreed to be a good thing.